The winner of this year's New Japan Cup will receive an IWGP Heavyweight Championship shot at Madison Square Garden. 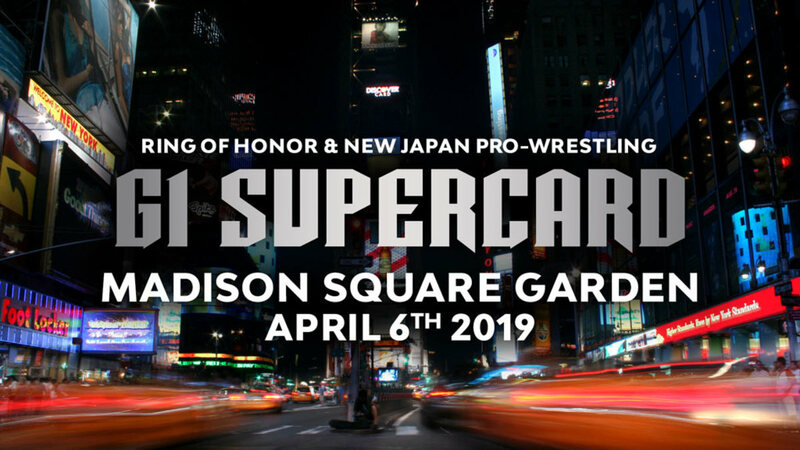 NJPW has announced that new IWGP Heavyweight Champion Jay White will defend his title against the New Japan Cup winner at G1 Supercard at Madison Square Garden on Saturday, April 6. ROH and NJPW are partnering together for the show. Previously, the stipulation for the New Japan Cup has been that the winner would receive a title shot of their choosing. White defeated Hiroshi Tanahashi to win the IWGP Heavyweight title at the New Beginning in Osaka on Monday morning. Tanahashi lost the championship in his first defense since winning it from Kenny Omega at Wrestle Kingdom 13 last month. New Japan Cup 2019 will begin on Friday, March 8 and conclude on Sunday, March 24. NJPW has yet to announce the full list of participants for the tournament, but Kota Ibushi appeared at the New Beginning in Osaka, announced that he's staying with NJPW, and declared that he'll be in the New Japan Cup.